Need Visitors To Convert Into Customers? SEO (Search Engine Optimization) is the process whereby a website has it’s code amended so that the main search engines can read and understand your content. The quantity & high quality of back-links from authority websites pointing to the content pages of your website then provide rankings. Over time Google, Yahoo, Bing etc. add up these “back-links” and rewards you with a ranking within their listing results. In short, ” The man with the most links is the winner”, but in practice SEO isn’t quite as simple as that. Search engines score each site on a vast range of SEO criteria. These are constantly assessed to ensure that the most suitable sites appear in their search results. Although search engines try to think like a human beings, they are still only computer programs. 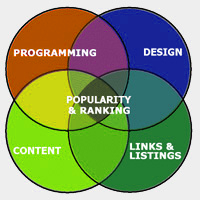 Thus, they rely upon complex algorithms to compile their SERPs listings. These algorithms look at over two hundred different SEO ranking factors on each page. They then score those metrics in order to rank each page of your site for relevant terms and phrases. These SEO factors can easily be ‘over optimized’. As such it is very important to seek professional guidance before attempting to optimize a website yourself. Electronic “spiders” search for links on all the websites in their index. The spider then follows them, reading all the text it can find on the way. Googlebot looks for keywords in title tags, headings, image alt text etc, but in ratios that it considers to be natural. If you try too hard with your SEO to achieve your rankings by keyword stuffing it will then begin to count your SEO efforts against you. A search engine spider has a huge problem reading images & Java Script (flash buttons/links etc). The problem is it can’t read or follow many of them. This means that whilst you may have the richest content on the web for you given topic, if your navigation devices are images or you use Java Script then all they will see is a blank page with no links. Consequently you will forever wallow on page 10 in the rankings. We use tried & tested SEO processes to make your website search engine friendly. SEO ³ will Optimize every page of your site & in addition customize your web site from an SEO view point for your industry. Where required we will add pages that will significantly increase the quantity & quality of traffic flow into your website. All the major search engines use two types of scoring to evaluate Website Design, on page & off page. “On page” SEO is, as I have said above, just a matter of making sure that your pages are in a format that Google likes to see & values highly. Google looks at each & everyone of those links & the “Trust & Authority” of the site that the link is on. From this information, it forms an opinion on that basis as to how popular your page is likely to be. If you for example have a link from a High Street Banks’ website that has a trust score of 75/100 it will be worth far more than 100 links from low quality 5/100 blog pages, but you need to apply relevance as well as just a high score. There are so many factors to consider when getting involved in the SEO process that it can be too easy to miss a step along the way. We have the SEO experience & Knowledge to drive your website to the top of the Search Engine Rankings. Quality SEO is not an overnight process. From first contact to a top ten ranking can take a year or more. This depends on the competitiveness of your search niche. Building a positive image for your site is a cumulative ongoing process that cannot be rushed. You should treat anyone who claims quick SEO results with caution. It is not possible within the strict parameters set by Google. Only by combining all of the above mentioned SEO factors can you build your Trust & Site Authority. Once you have, you will drive quality, targeted web traffic through to your website. It is important that you choose an Optimization Company that understands the workings of the complex Google Algorithms. Totally professional service, SEO³ have increased our web traffic enormously in all three areas of our business. Having redesigned and redeveloped the Musto site we needed to ensure it was being seen. Since working with SEO³ we have seen the site ranking in first position for the Sailing sector. In the short time that we've been optimizing for our Casual sector we've seen our ranking improve rapidly. With SEO³ you get an excellent, friendly and professional service and the results speak for themselves. We are very pleased to say, having put our trust in SEO³ and his team, the results, customer service, professionalism and help we received were excellent to say the least. Picture Proud is now so much stronger since SEO³ took over the SEO and we now have a tactical advantage in the search engines. We must be very grateful indeed to Dave and his team and respect his grasp of SEO fundamentals (They are SEO Wizards). A professional and responsive service, we have seen our traffic grow steadily since enlisting the support of SEO³ with excellent results. SEO³ have a natural aptitude for pressing all the right buttons with a keen eye on today's cutting edge technology, you want them on your team. We are very impressed with the SEO work and link management that SEO³ have provided us because we are currently in 1st, 2nd or 3rd position on Google with many of our keywords. We would definitely recommend this company. Great company to deal with, very efficient. Pleased with the results SEO³ has achieved for my site. Why should you choose us to provide your SEO? You Found Us Because We Get It! If you think that SEO is just a case of adding a few keywords on your web pages then you are in for disappointment…. to effectively optimise your site so it can rank #1 for the most competitive terms in search your site needs to meet and exceed over 200 strict criteria. Failing just one of these will have a negative effect on your ability to rank well. We understand SEO and what makes Google tick, so we can address everything that your site needs to be able to attract large volumes of organic traffic. Over 50% of all Google traffic happens on smartphones and tablets. This means that if your site isn’t built to display on all screen sizes, devices & importantly fast enough across mobile telecommunications networks then you will miss out on at least half of your potential traffic. The reason why you see household brands ranking at the top of search for most products & goods is because Google trusts them algorithmically. They send the right trust and authority signals that promoite them to the top of SERPs. These signals of website trustworthiness are essential for top rankings and we have a proven formula for building trust and authority metrics for our clients websites, that’s why they trust us. Social proof is increasingly important & only going to become more so. If you are not already collecting testimonials and reviews on Google+ & Facebook then you are behind the game. Google trust ‘crowd opinion’ to vouch for businesses, so the more positive reviews, social media shares and recommendations, mentions, etc the better for building your online reputation. Plumbing Services in Bedford, Milton Keynes, Cambridge, Northampton Bedford Plumbing Services Finding a good, reliable plumber when you need one can be a trying experie ..